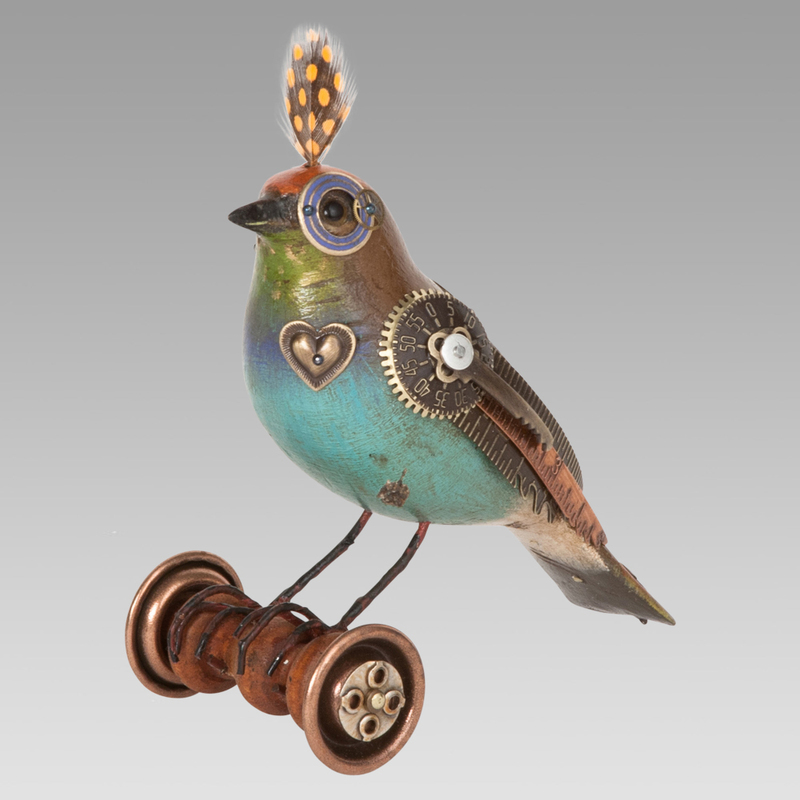 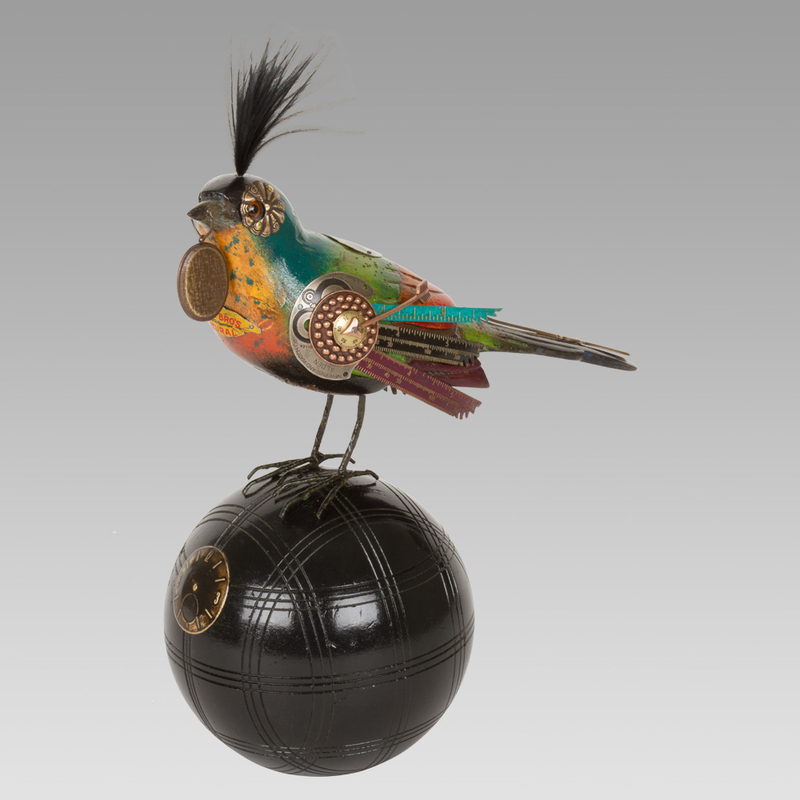 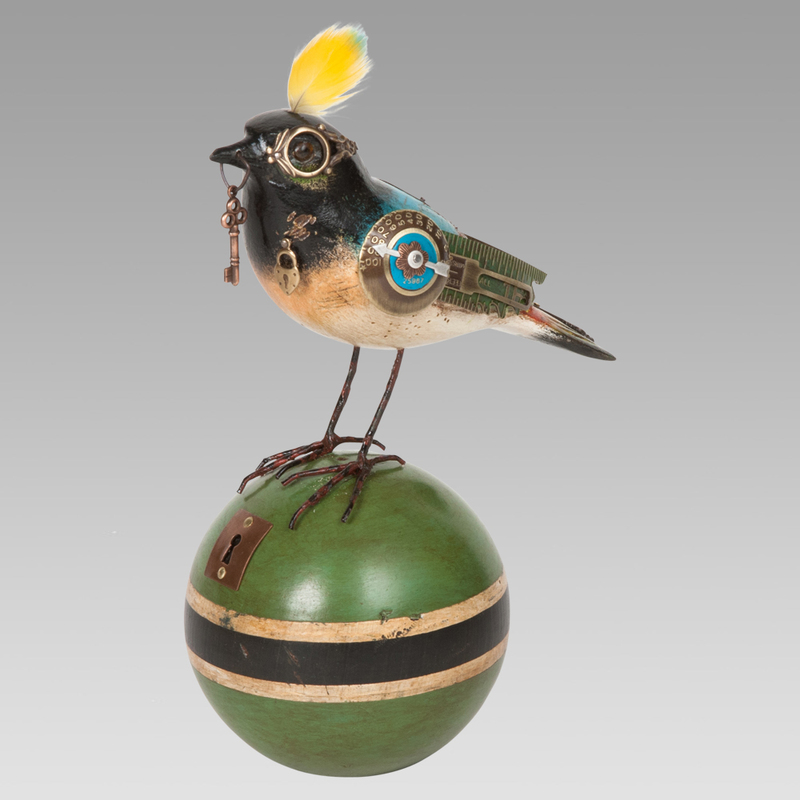 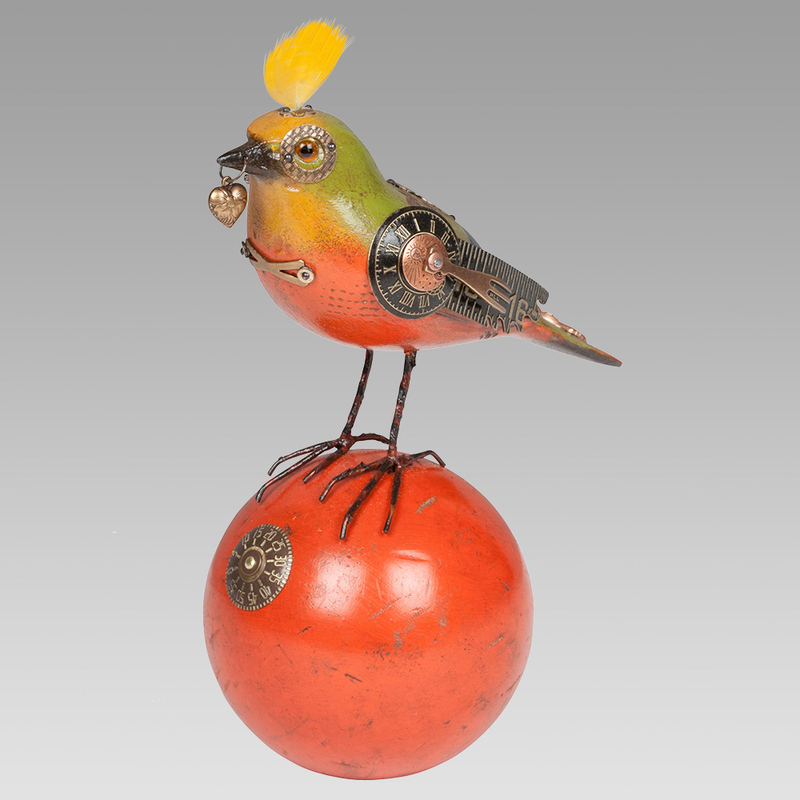 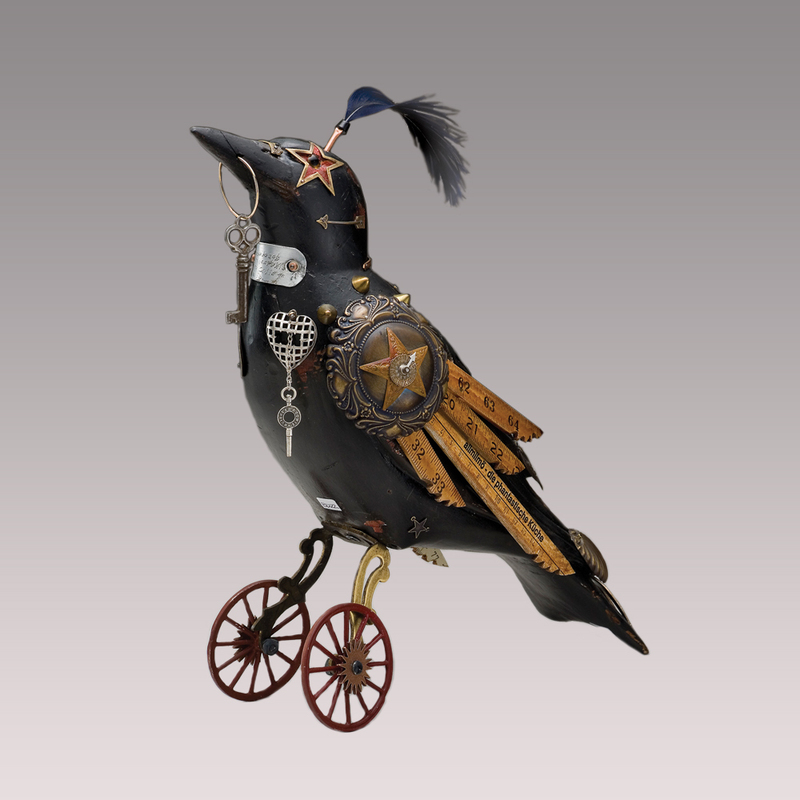 Jim & Tori Mullan’s unique steampunk songbird collection is the result of more than 20 years of collaboration. 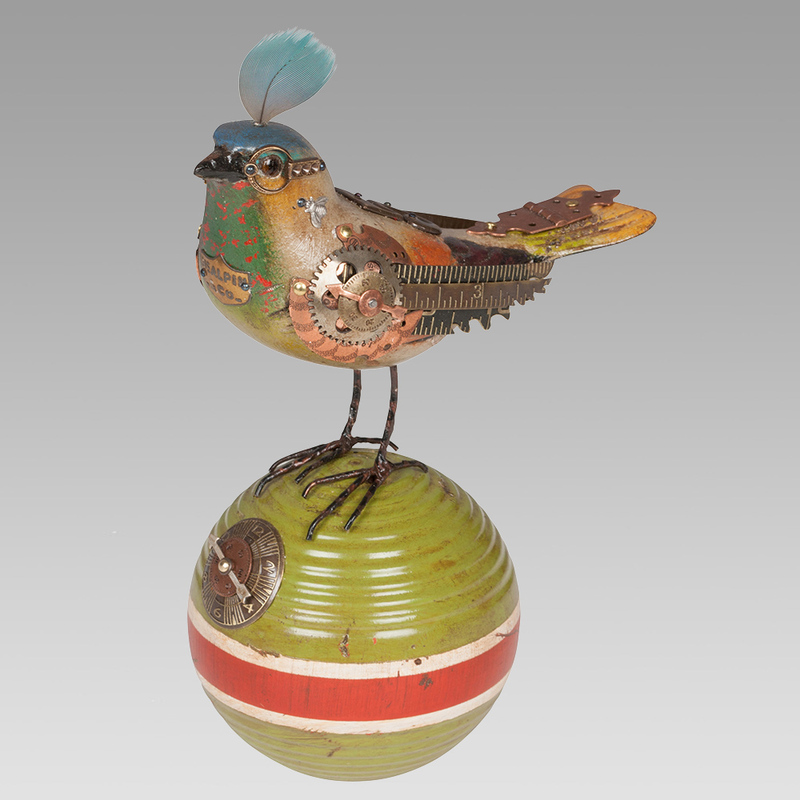 Many of their designs are influenced by nature and the world around them. 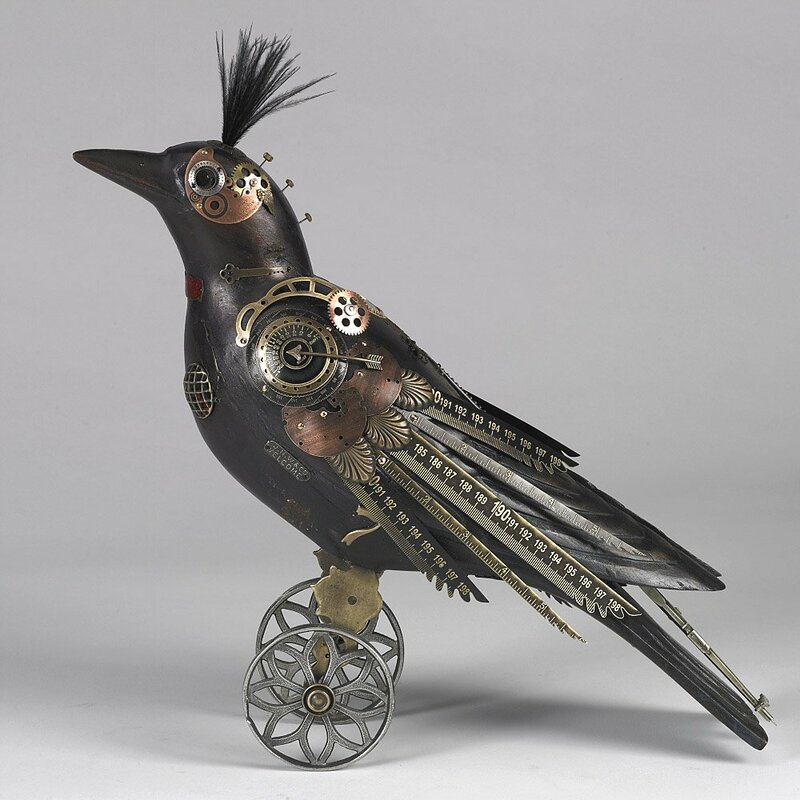 They enjoy combining natural materials with found and recycled objects to give their designs a time-worn yet renewed feeling. 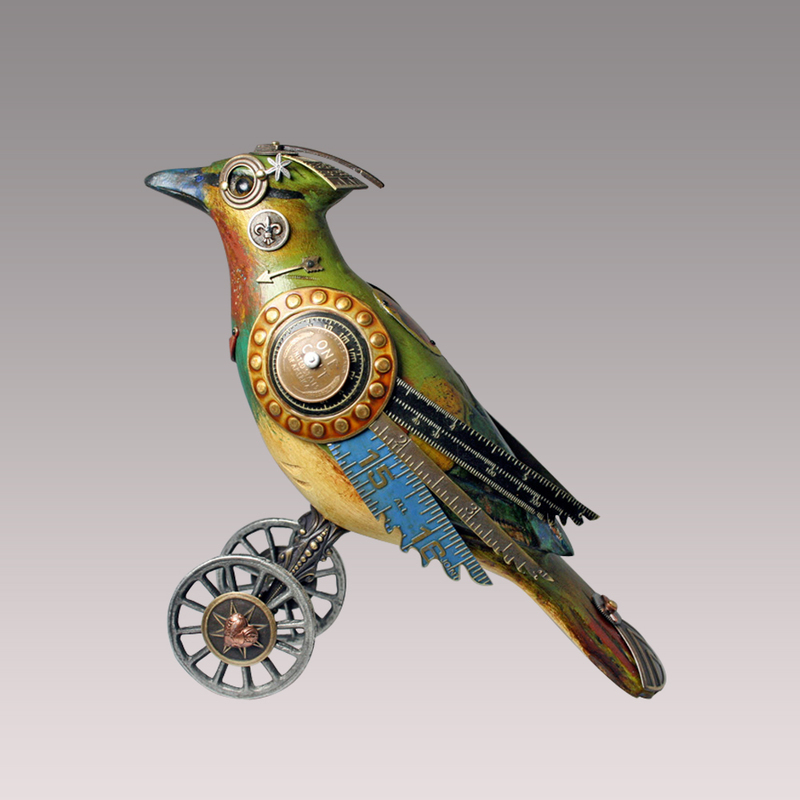 The metals that make up their jewelry and bird sculptures are recycled – hand stamped with patterns and oxidized to achieve a variety of colors and finishes. 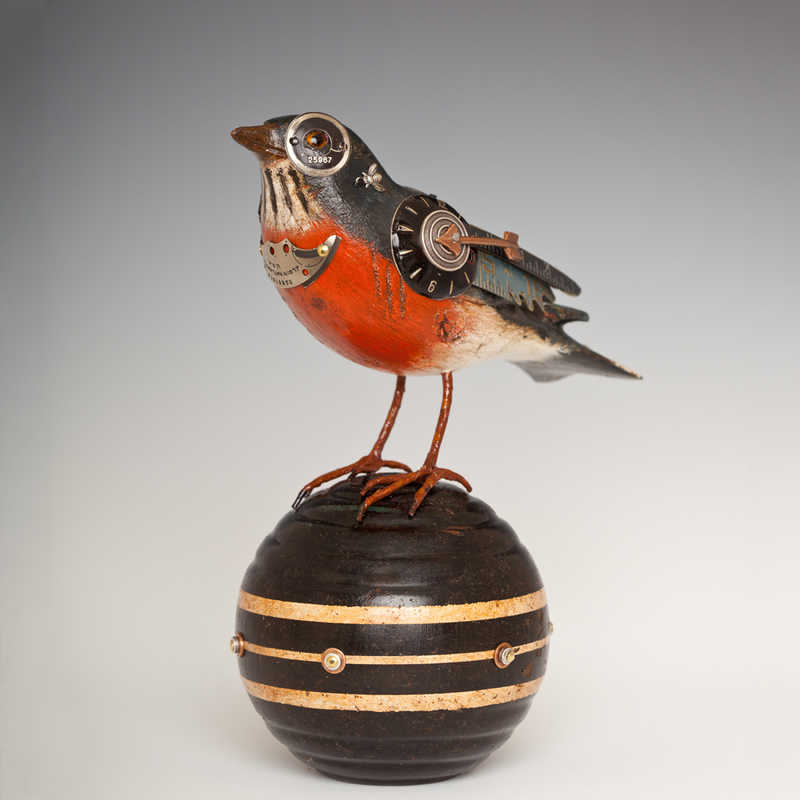 Natural imperfections occur during the process, which add to the individuality of each piece. 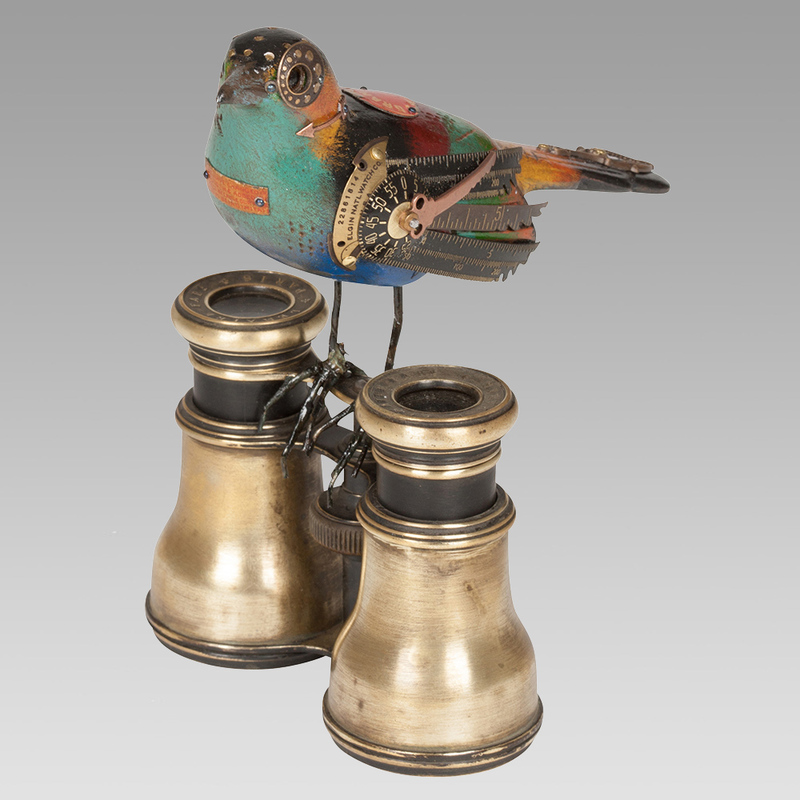 Because the pieces are handmade with various metals, finishes, and antique elements, it is rare that any two pieces are identical.